All Avon homes currently listed for sale in Avon as of 04/18/2019 are shown below. You can change the search criteria at any time by pressing the 'Change Search' button below. If you have any questions or you would like more information about any Avon homes for sale or other Avon real estate, please contact us and one of our knowledgeable Avon REALTORS® would be pleased to assist you. "Almost Paradise...literally. Tucked away in the beautiful mountains in AVON. Located a few miles from the boundary lines of Paradise. 15 minutes to Porcupine Reservoir, 30 mile to Wolf Creek golf course. 30 miles to Pine View Reservoir, 45 mins to Olympic Village at Snow Basin. Properties like this are rare. 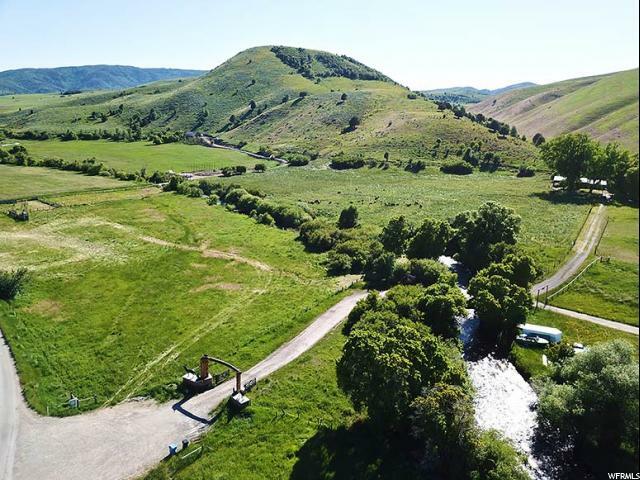 This fully fenced private ranch, Trapper's creek has it all. If serenity is what you are looking for, THIS IS IT. This home offers 4 bedrooms , 2 bath, the master bath offers a jetted tub and very spacious. It has an attached 2 car garage with a workshop. The outside is a little piece of heaven. With this property you will find yourself sitting on the large deck big enough for dining and entertaining, looking out at the gorgeous views and sunsets over looking the valley. Or, enjoy the other outdoor features for entertaining. The property boast a bridge above a stream that fills from runoff, a huge fire pit surrounded with plenty of seats ready for roasting marshmallows. Grab your fishing pole and head over the the little bear river that runs through the property. You might want to grab your outdoor and hunting gear as well because this property is perfect for the outdoor enthusiast. This amazing property has year round access. When covered with Utah's finest powder, The Hills and valley on this prime property is excellent for snowmobiling. The valley stretches throughout the property to a pond in the back with fenced corrals and pastures ready for your horses and cows. Worried about Water supplies??? DON'T BE. This includes 56 hours every 8 days for irrigation from the Bear river. This property also includes a private spring that supplies the homes culinary water supply. Don't miss your chance at owning this beautiful Ranch. Square footage figures are provided as a courtesy estimate only and were obtained from county records Buyer is advised to obtain an independent measurement. (private spring supplies home and the neighboring home)"
"Rare find in highly desirable Avon area. 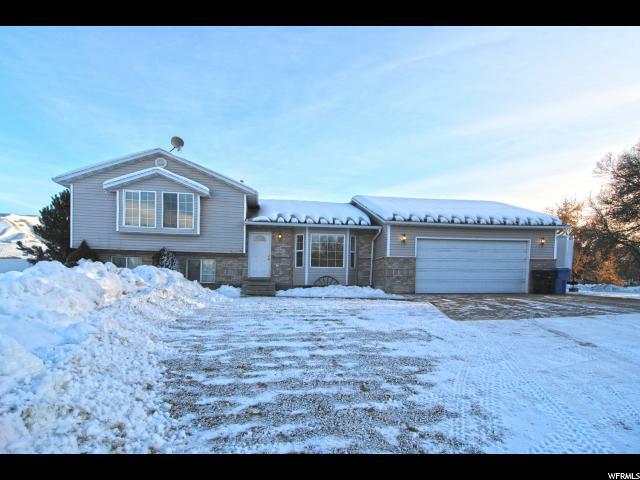 Beautiful setting just minutes away from Porcupine Reservoir and many great recreational activities. Truly gorgeous surroundings! Spacious home with room to grow in the basement on just over an acre there is plenty of room for your animals. "